Or – What’s so special about it? OK what's the big deal about it? P eople often make the mistake of classifying WordPress as just a blogging platform. Although that used to be true in the past, WordPress has evolved through out the years into a versatile content management system (CMS). While you can still use WordPress to create a simple blog, now it also allows you to create fully functional websites and mobile applications. The best part about WordPress is that it’s easy to use and flexible enough for just about anything. That’s the main reason why WordPress has grown so much in popularity. According to a recent survey, WordPress powers 22.5% of all websites on the internet. W ordPress is super flexible and can be extended by using plugins. Just like themes, there are thousands of free and premium plugins available for you to use. Not only these plugins can add extra functionality to WordPress, there are lots of plugins which can add a whole new platform to your WordPress site. Also, wordPress’s themes, plugins, and core files are constantly updated, making it ideal for a long haul. W ordPress is written using standard compliance high quality code and produces semantic mark up which makes your site very attractive to search engines. By design WordPress is very SEO friendly, and you can make it even more SEO friendly by using certain plugins and techniques. There are hundreds of amazing plugins to further optimize your site. Additionally, each website is unique and might require different SEO strategies. W ordPress is developed with security in mind, so it is considered quite safe and secure to run any website. However, just like the real world, the internet can be an uncertain place. There are intruders out there who want to get their hands on as many sites as they could. 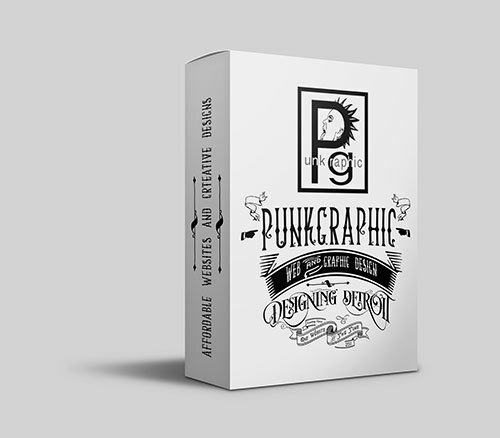 At PunkGraphic, we use professional grade tools to ensure that your site is hacker-safe and restorable (if needed). Our partners who provide you with a blazing fast and safe SSD Virtual Personal Server hosting make regular daily backups and are bullet-proof. I ndeed. WordPress natively comes with built-in support to handle images, audio, and video content. You can also use for document or file management. WordPress supports oEmbed enabled websites which means you can embed YouTube videos, Instagram photos, Tweets, and Soundcloud audio by just pasting the URL in your post. You can even allow your visitors to embed videos in comments. Possibilities are truly endless. Why waiting? Give us a call today! L et us create YOUR website, utilizing our awarded design skills, using the latest WordPress technology, custom CSS, with standard professional photo retouching and optional SDD VPS hosting. Your business will stand out from the crowded pool of local companies and services while your website is talking Google friendly language and boosting your marketing response. There was never a better time to get a website with more features and bells and whistles as it is now. Only 5 short years ago, you would pay 5-10 times more for the site with looks and features that we include as standard today; And still that site wouldn’t remotely have as many possibilities as you can have today. Give us a call and let’s talk about helping your business.